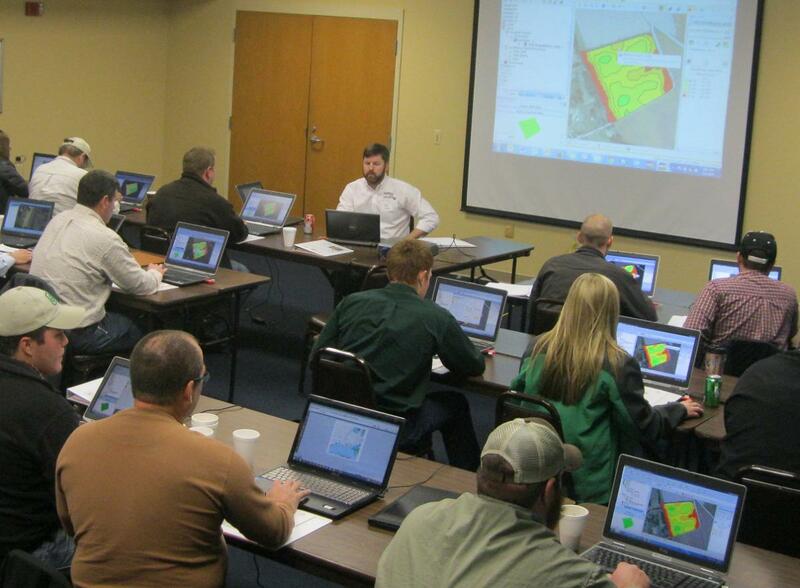 Participants get hands-on training to learn how to get more use from their precision agriculture data. Workshops begin with check-in at 8:30 a.m. and sessions from 9 a.m. to 4:30 p.m.
Two all-day workshops will be held at each of the four sites — Mead, Norfolk, Clay Center, and Gothenburg. The first day, Session One, will address intermediate ag data management topics, while the second day, Session Two, will address more advanced ag data management. Individuals can register for one or both days. Cost is $75 for one day or $130 for both. Registration includes printed learning guides, a jump drive with workshop tutorials attendees can reference at home, and data. At the 2016 Nebraska Extension Precision Ag Data Management workshops learn how to better use your data to make site-specific decisions for your farm. On-line preregistration is required and class size is limited to 20 to facilitate the hands-on training. To register online, visit the program website at http://agronomy.unl.edu/precisionag.